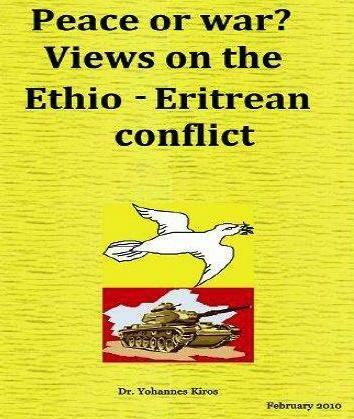 The author, Dr. Yohannes Kiros, asked me if I can review his book. When I started to read the material which he sent me, however, it kept my interest riveted, and I read it in only two sittings. The material is about the events during the sad times when the two neighboring nations, Eritrea and Ethiopia, were engaged in a border war, and appears to be presented in some kind of a time line, leading to the actual event and well after it. It is not just a historical account of what took place, but a view of a man with a passion about the illegality of Eritrean occupation of border areas for about two years, and the tragic bombings the preceded it. There are also letters and comments the author wrote to some prominent people at that time: letters to Ann-Marie Scott, to Mr. Benjamin A. Gilman, and other letters. Towards the end the author delves into the historical background of the present problems and traces the situation in Eritrea from as far back as the time of Emperor Tewodros onwards getting into details of how much tribute was collected at that time. He then moves to the time of Dejach Woldemichael and his defection to the Turks at the time of Emperor Yohannes, and all the way to the time of Italian colonization of Eritrea. I found that part quite interesting and educational. But the book is not just about the historical causes that have brought about the present problems and split between Ethiopia and Eritrea. It is more than that. It examines the environmental factors and fossil fuels, climatic issues and the Blue Nile. All that and more are examined, which I found very vital. It is very important that these background issues be understood and resolved before the present split between the two countries can be resolved. After all, material factors on the ground always determine the political reality. I wish the book gets a wide readership and all success to the author.